Who is the top motivational speaker on the planet today? We have compiled our list of the top 10 motivators below. What order would you place them? Would you add someone else in? Have your say at the bottom of this page. Everyone needs a constant dose of Motivation & Inspiration. The top motivational speakers in the world are experts at doing much more than simply motivating us for a short period of time. They strike a nerve deep in our soul, inspire us to take action & live the life we all deserve to live. They have inspired millions to create happier more abundant lives, they talk the talk but most certainly walk the walk. Les brown is one of the most famous, renowned, and powerful motivation speakers on the planet today. His speeches are used in many motivational videos on you tube, and some, including “you can live your dreams” have become a worldwide phenomenon & he has a passionate loyal following. Why is Les Brown so great? In one of his (now famous) speeches, Les describes how He was declared “educable mentally retarded” while in grade school. Despite this Les Motivated himself to reach his full potential, this is a key point he references in many motivational speeches he now gives, of course he got past this hurdle and went to to become regarded as one of the greatest motivational speakers in the world. A real life story of someone who has acheived so much when it did not seem possible for him to do so. “”If you’re working on you dream, sure they’re gonna be times when you’re gonna want to give up, sure there will be times when life will knock you down and catch you on the blind side, but the challenge is to hold on. And if you hold on tenaciously, I say the universe is on your side. If you don’t decide to act on your dream, if you don’t decide to make a decision to live your life, if you don’t decide to step into your fears, if you don’t decide to say yes to your life, it will never work for you. You’ve got to live what’s in life, life is too short and unpredictable. About Eric Thomas: Why is Eric Thomas so great? His passion. ET has passion eeking out of his veins. You can see it and feel it in every speech he gives. He lives for this. He is intense, inspirational & loved by millions. Eric Thomas, also known as the Hip-Hop preacher, owes a big part of his success to YouTube promotion and his style is tied to passion. His rags to riches story is one of struggle and dedication. He dislikes formal attire and dresses casually so as to establish a closer connection with his audience. “I’m here to tell you, Number one, That most of you say you want to be successful, But you don’t want it bad, You just kinda want it. You don’t want it as much as you want to be cool. As much as you want to sleep! Although Tony hates being tagged as a “motivator” because he offers much more than that, he is still regarded by millions as one of the greatest motivational speakers of all time. True leaders lead by example and this is precisely what Tony Robbins, the Success Coach, does! He is a renowned motivational speaker who managed to help people make a meaningful change in over 100 countries in the world. Success didn’t go to his head and being that he grew up in poverty, now that he is extremely successful, he is giving back to the community. His goal in 2015 is to feed 50 million Americans from his own charity. Jack Canfield is attributed by the flattering title of “America’s #1 Success Coach” and has been pronounced “publishing phenomena of the decade” by Time magazine. He specializes in helping corporate leaders, mangers, sales teams, educators and people of similar vocations to find the necessary drive within them and achieve their dream. Born and raised in Brooklyn, New York, Iyanla Vanzant is, on top of being a motivational speaker, also a lawyer, spiritual leader and a TV personality. 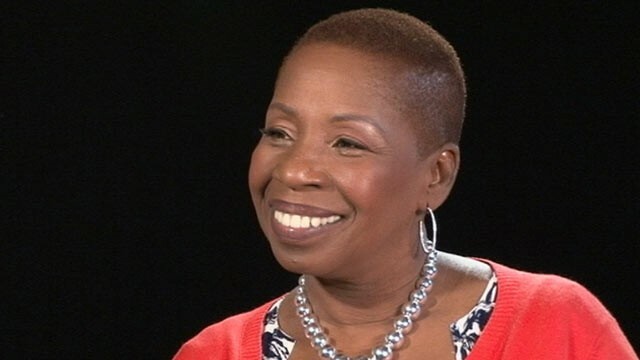 She is currently the host of a TV show: Iyanla, Fix My Life, and she is also an author of an extensive book series. Iyanla has appeared several times with Oprah Winfrey, both on the Oprah show, and Oprah’s new TV Channel. Although Mr Ziglar is not with us anymore, his legacy carries on without him. At its core, his motivational speeches are there to help people on their self development journey and achieve greatness. Mr Ziglar was a proud republican and through his motivational speeches, he also uses Christian motifs and beliefs. Here is another motivational speaker, whom we lost fairly recently. Mr Covey died from a complication in a cycling accident in 2012 but left us with a great legacy. His most famous work “The Seven Habits of Highly Effective People” is still with us and helping millions of people succeed worldwide. Mr Kiyosaki sold over 26 million book copies from his Rich Dad brand, he is also a radio personality and a financial commentator. His goal is to make everyone financially competent through education. He is also involved in helping parents teach their children financial education at a young age. Mr Dyer is a motivational speaker and a hugely successful author. 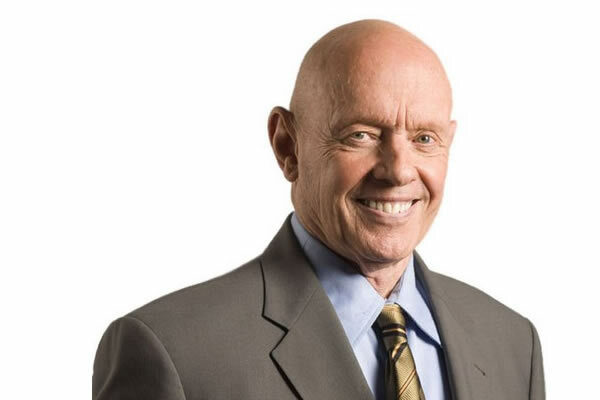 His book Erroneous Zones has sold more than 36 million copies around the world. At its core, his motivational philosophy revolves around the process of self-actualization. Furthermore, Mr Dyer tends to focus on helping people get rid of their guilt trips, which he refers to as an unhealthy immobilization in the present due to mistakes made in the past, which can cripple the personal development of any person. Self-reliance is also one of the key factors in his lectures. Suzan is a financial advisor, social workers and TV show host as well as a motivational speaker. Her life story is one of dedication, strength and determination and she has the success to show for it. You can find out about how she managed to get where she is today through her books. She was awarded with the Gracie Award for The Suze Orman Show and her great skill in running the show. The styles and goals of motivational speakers are various but the fact is that businesses, organizations and individuals can benefit greatly from their help. In some cases, bludgeoned by our daily lives, we forget who we are and what we are capable of. Sometimes we need someone to remind us of that and to set us back on the right track. As you can see, most motivational speakers struggled through life and this allows them the moral high ground when speaking about how you can improve and overcome life’s obstacles. This develops trust and gives weight to their words. Still, as we all know, motivation comes from within and we need to open ourselves to the possibility of success. I hope you enjoyed our little presentation and we wish you the best of luck on your road to success. Where is Bishop T.D. Jakes on the list?. Never regret for what you are or for what situation you are in. All that you are now , is a result of a long complex chain of thoughts, experiences, decisions, actions and convictions of several people. So, don’t blame yourself for that which did not take place in you, don’t blame yourself for the failures you underwent or the success that alluded you even after your enormous efforts. Shed of your fears, discouragements, regrets, self blame or blaming others and begin a new life with a new vision of your life with new thoughts, new experiences, new actions, new feelings, new events, new situations and new people where in you can change yourself, change your situations, change your experiences, change the people and change the world itself for betterment ! Jim Rohm and Robert Schuler should be considered. Lisa Nichols…..i was hoping would make the list…..she deserves it,right? For sure. She is great, maybe we should do a separate article on her? How could you forget Robin Sharma. I don’t think this list is complete without him. Robin Sharma is great, we have a recent article on him. We would think he is more of an author than a “motivational speaker” Thoughts? Great blog! thanks for the motivational info fearlessmotivation. I’m sure you could add some more names to the list. I’m from India and I feel you could at leat add India’s leading motivational speaker Naseer Khan. He’s nothing less then Les Brown. Great compilation of the list. One suggestion is to consider and add the Young Blood also to the list. One such speaker is Vikas Jain. Hello, I absolutely enjoyed reading the list. I am pursuing a career in Motivational Speaking and the information was very, very helpful. I look forward to reading more. i am from india. so indians should also be considered.sandeep maheshwari from india ,is a very good inspirational speaker.he not speaks from mind but also has many personal experiences.he is a very good person too.he not even buy money for his seminars.so i think that he should also be considered. 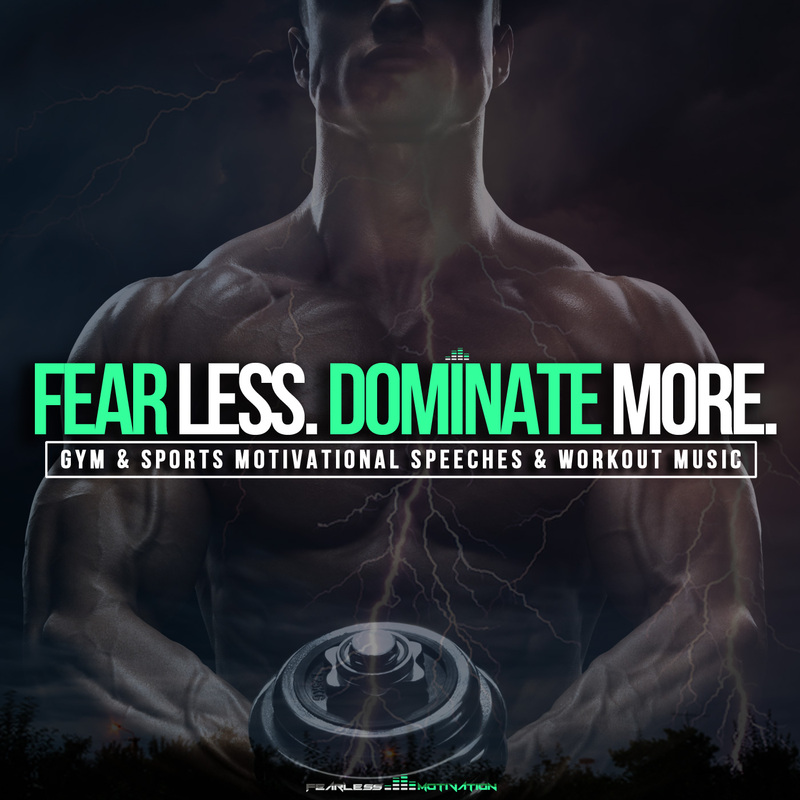 Wow this is probably the best list of motivational speakers that I have seen on the web so far. Thanks you for posting this great articles. Thanks for sharing and definitely waiting for more! Sandeep Maheshwari from India must be considered in the list. You should do a bit study on him and surely he deserves to be in the list. He usually speaks in Hindi in his seminars but his “Last Life Changing Seminar” is available on YouTube in English !!! Eric Thomas is my mentor and everyday life coach.He keps me motivated and make me to believe in myself. Thanks to adding Robbins my favorite. Excellent article, thank you! I can recall one particular event I attended a few years ago, but which is still like yesterday. Many speakers share their own experiences and story. This experience I’ll never forget and so it will be a personal favorite that I would like to add to the list – it was when I attended a speaking event by Lorne Sulcas, better known as The Big Cat Guy. I thought he was totally unique and different. His message was not of people to people. But a message far bigger than us. With his keynotes, he shares the million-year old success lessons from Nature that opened the audience’s eyes … very wide. He started a research project, to study the area’s lion, leopard and cheetah populations. What he describes is every day’s immense beauty. But behind Nature’s awesomeness, is a constant struggle for survival in the face of massive change and competition – for every species, even at the top of the food chain. In my mind, he will be forever remembered. Priya Kumar has become a Favourite among many people for touching the minds and hearts of people by her transparency, openness to share anything she knows and experiences in a simple lucid way. every problem we face in life. Thank you for sharing a list of the top motivational speaker on the planet. Sriram Athri is the best motivational speaker in Mumbai. Great list so far,but i think it will be more Great if Prince Ea’s name was among them….